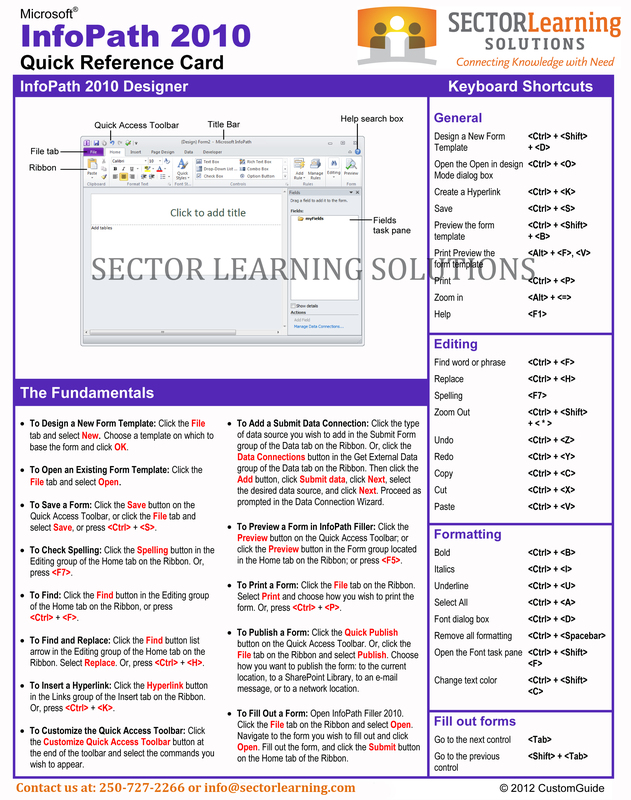 FOR INFOPATH 2010 AND COMPUTER BASICS 2012. 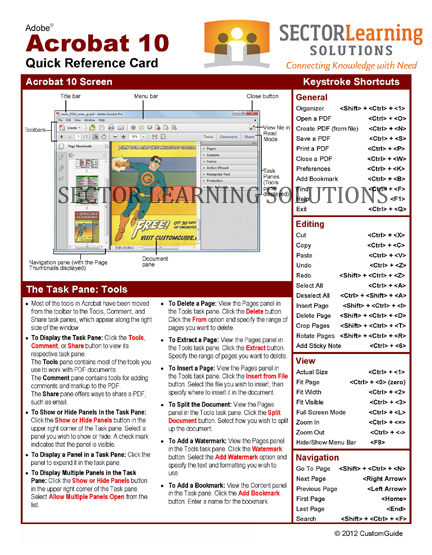 These double-sided full colour 8″ x 11″ cards include screen shots, keyboard shortcuts and fundamental commands in a concise format for easy referencing. 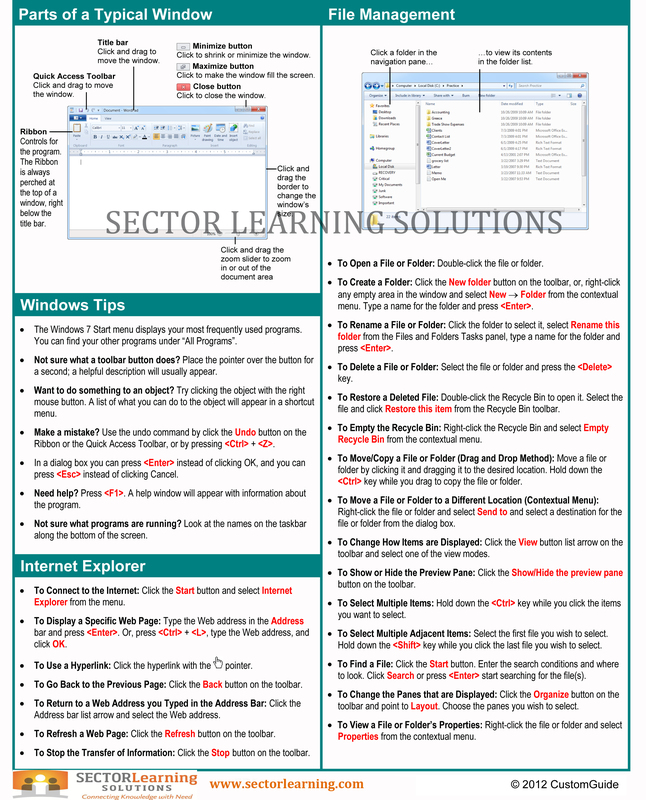 Electronic copies are available for free by request. 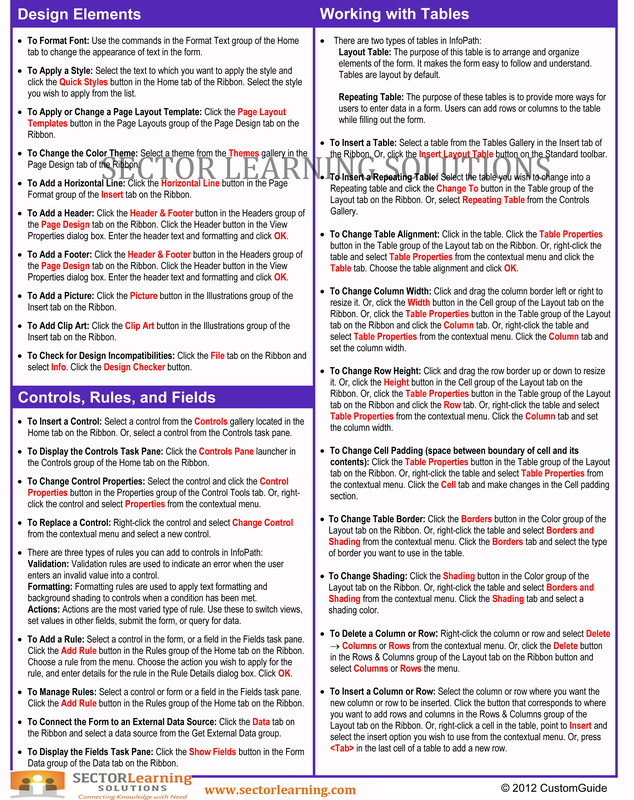 Contact Kelly Marshall to request your free electronic copy. 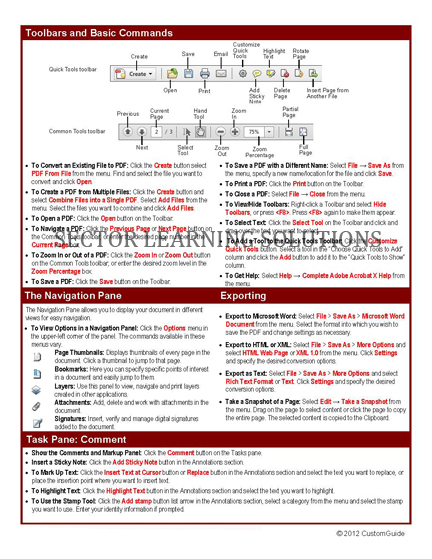 Did you know we have Quick Reference Guides available for the entire Microsoft Office Suite? 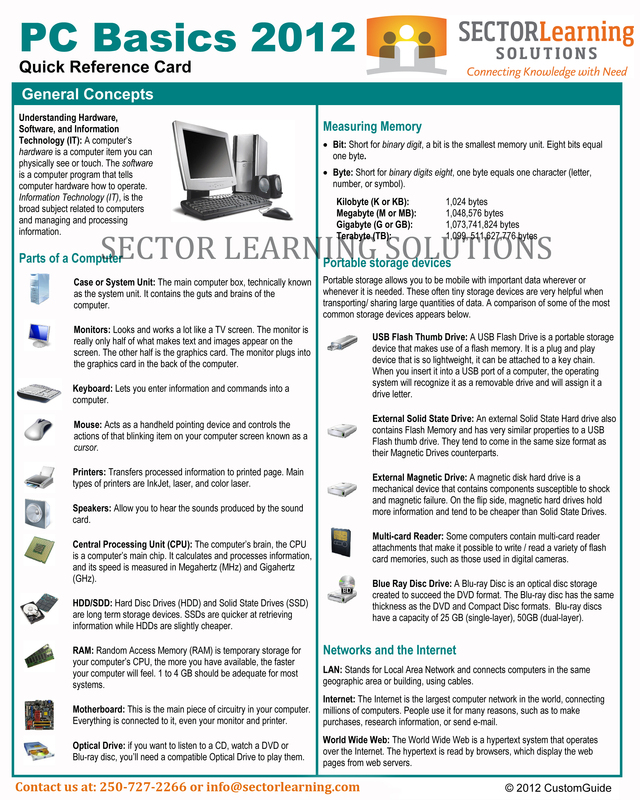 Quick Reference Guides that we have available. 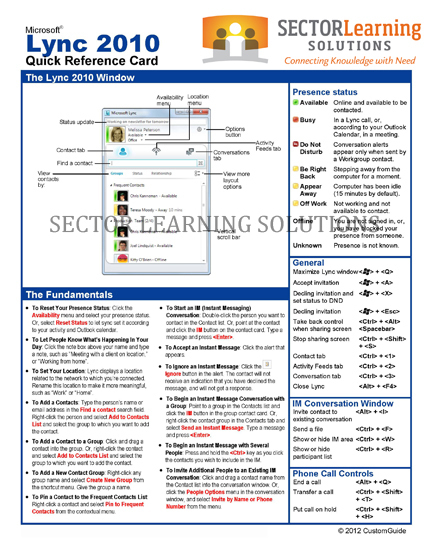 for Lync 2010 and Acrobat 2010.